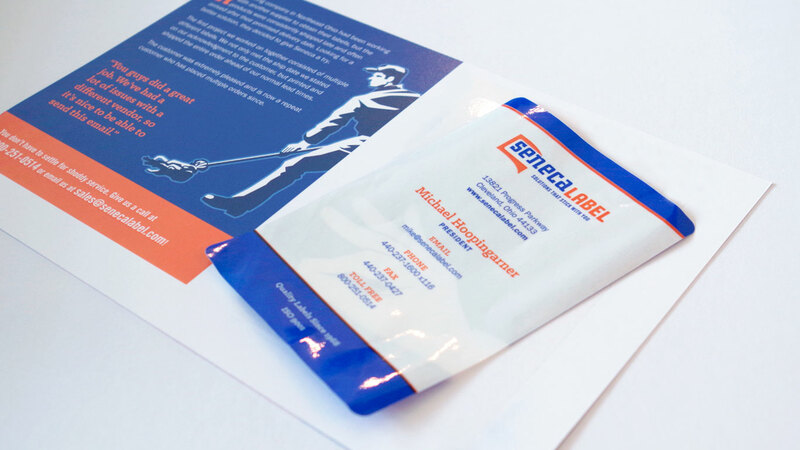 The clever new brand Cassel Bear cooked up for Seneca Label was made possible by three key ingredients. 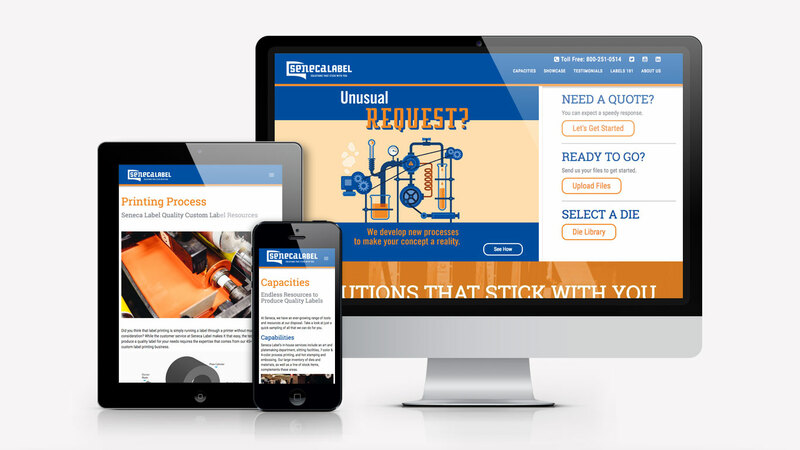 First, the relationship we’ve built with them over time earned us enough trust to suggest a bold, creative move – one that would revamp everything: their written identity, logo, print pieces, signage, website, and more. Second, intentional listening discerned an internal identity that wasn’t captured in their marketing materials; we crafted a new motto and tagline that better convey the team’s voice and energy. · Need a quote? You can expect a speedy response. 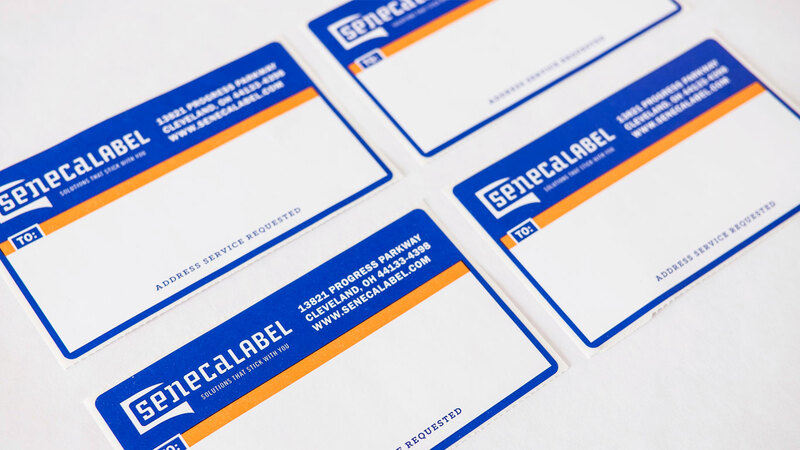 · Want the best label? We go above and beyond – even when it hurts. · Unusual request? 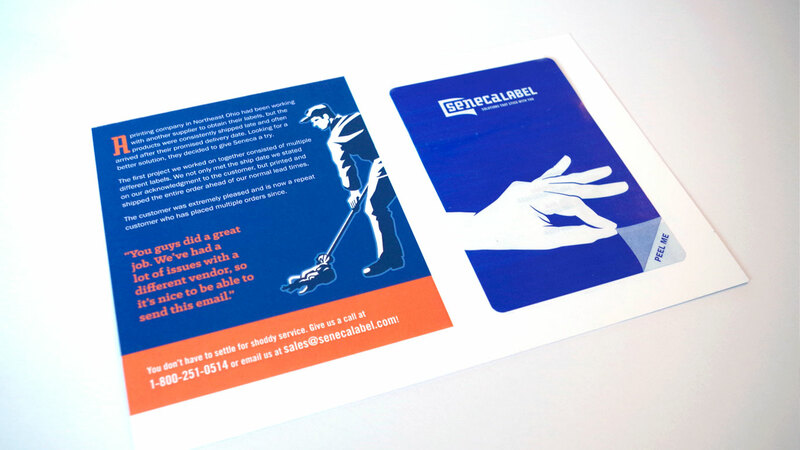 We develop new processes to make your concept a reality. · Others telling you no? We fearlessly tackle the jobs that they won’t touch. · Someone else botch your job? We’ll clean up the mess. 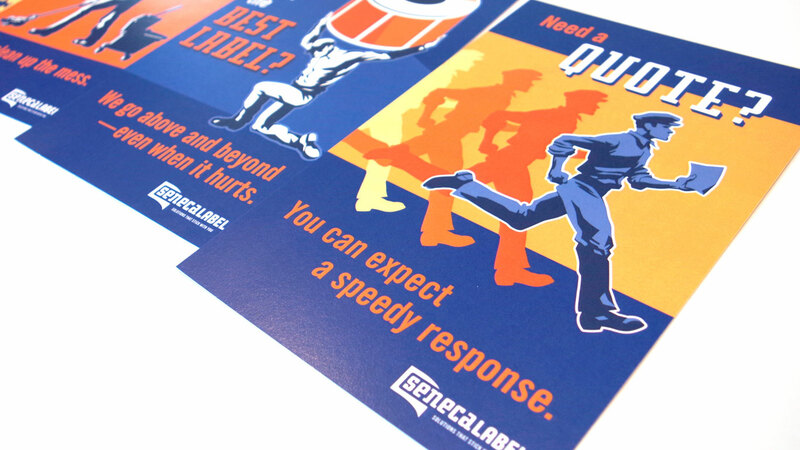 Finally, we crafted a visual style that manifests that energy, inspired by WPA-era posters and fonts, to create a new logo, original illustrations, website, and more. 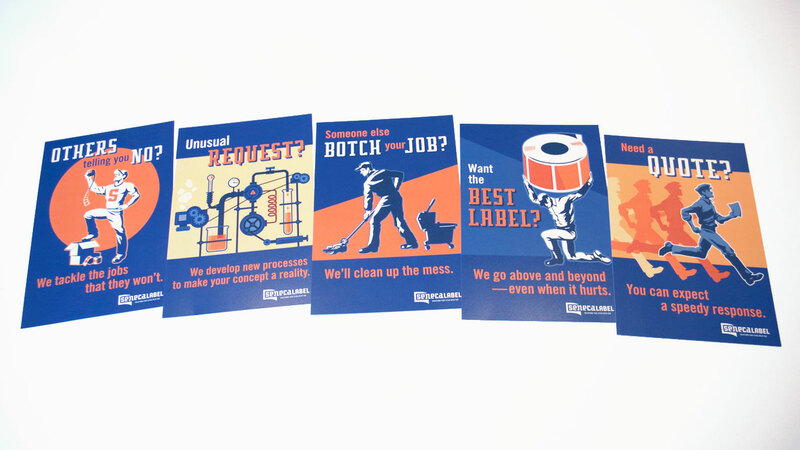 The postcards introduce new and existing clients to each of the five promises that Seneca makes in their motto statement, with an original WPA-style illustration to complement the text. (Read more about the creative process behind these.) 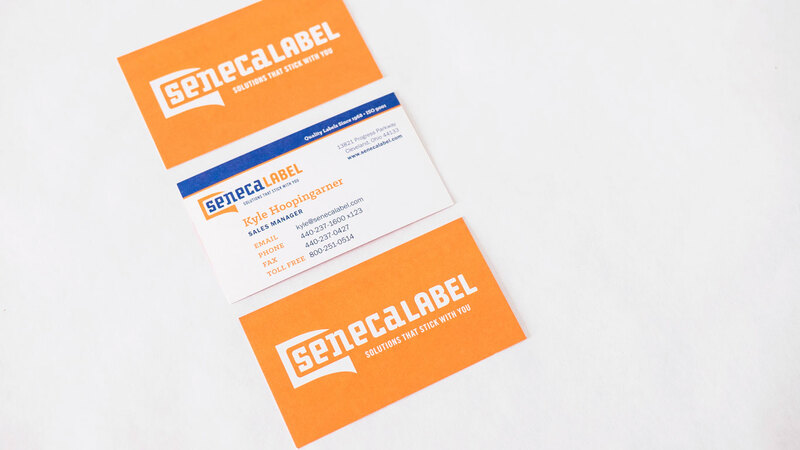 A label on the back side showcases Seneca’s handiwork and peels away to reveal the contact info for a Seneca sales representative. 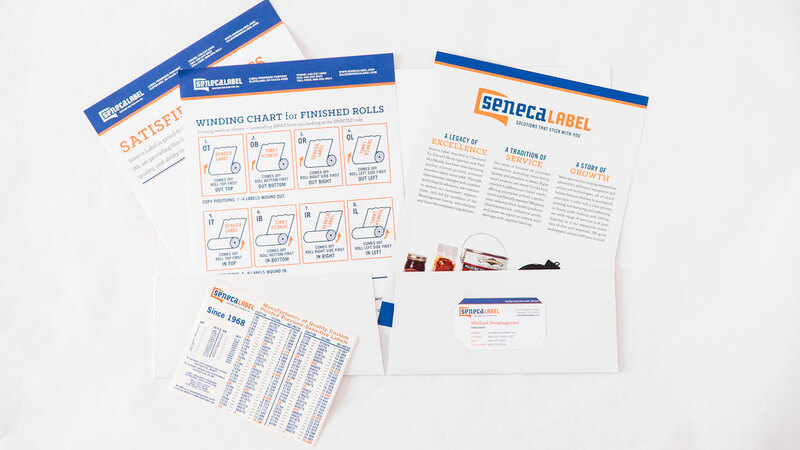 We took the new logo and colors and emblazoned them on everything: business cards, a folder, the sell sheet labels, printing info sheets, and more. 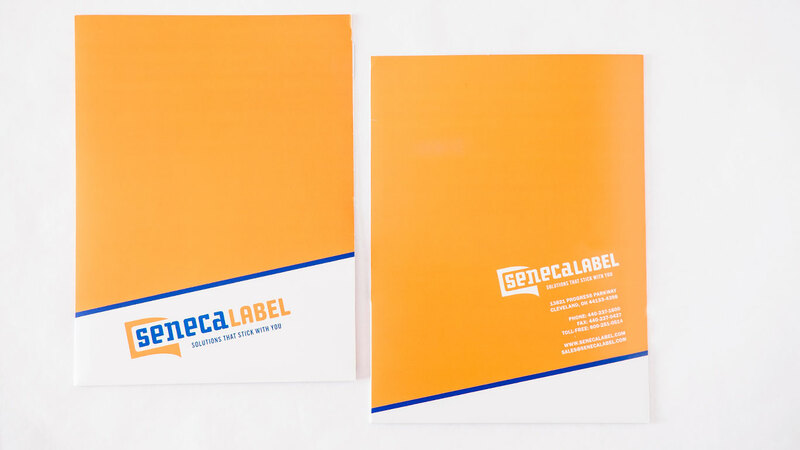 Cassel Bear has been fortunate to work with Seneca Label since 2012. 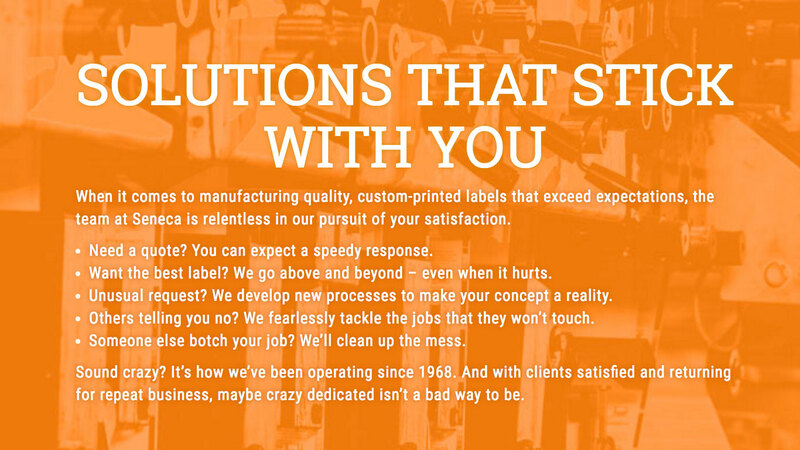 Based in Cleveland, this family business has been producing quality, custom-printed, pressure-sensitive labels since 1968.